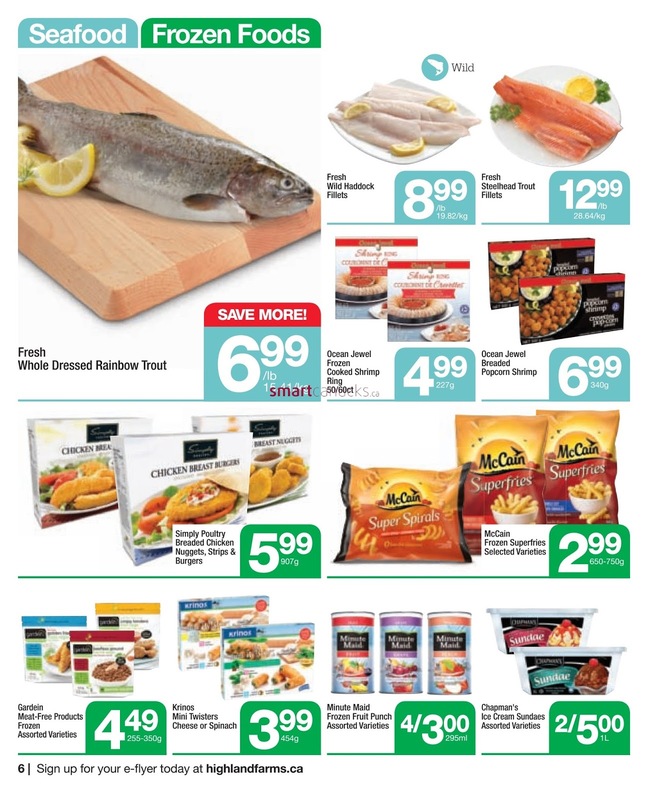 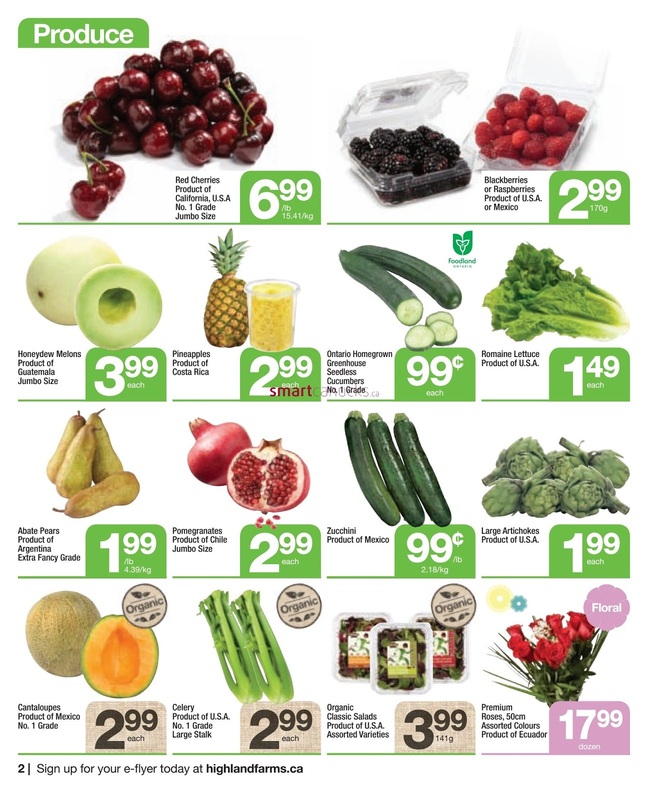 Happy Mother's Day Surprise mom with sweet treats and beautiful bouquets, Highland farms start fresh Highland Farms Flyer May 11 to 17, 2017 Fresh beef boneless top sirloin steaks product of Canada $7.99/lb 17.61/kg save more, Ontatio Homegrown greenhouse tomatoes on the Vine No.1 Grade 99cent save more!, Breyers creamery style real ice cream assorted varieties 3.99 1.66L, Kellogg's Cereal corn flakes 680g, Vector 400g or Raisin Bran 425g $2.99 each, Liberte Classique Western yogourt 750g or liberte baby yogourt 4x75g selected varieties $1.99 each. Romaine Lettuce product of U.S.A $1.49 each. 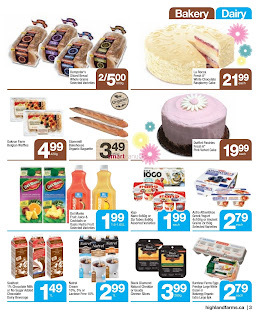 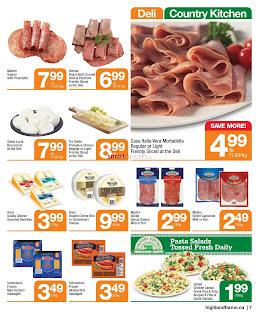 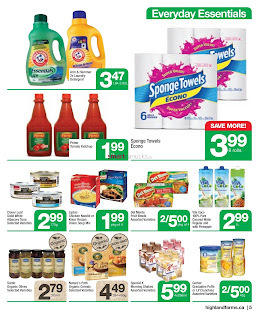 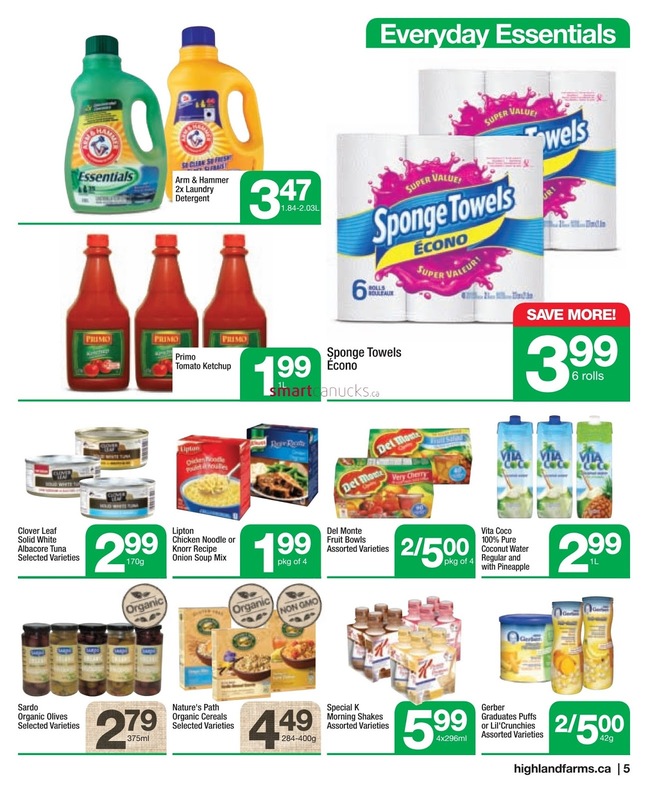 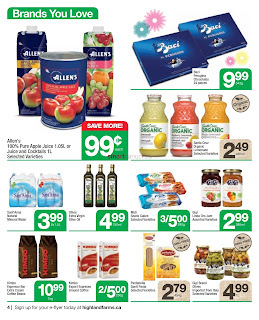 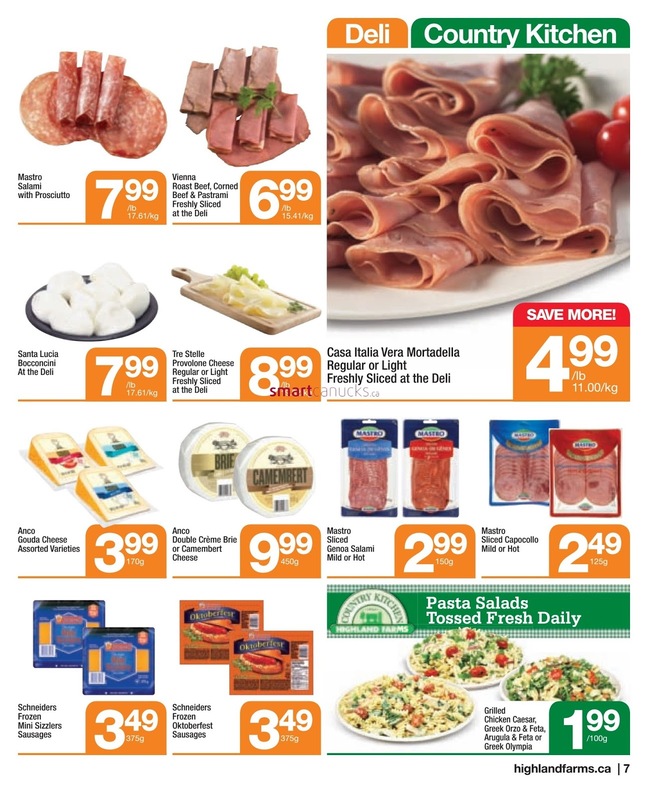 Just a simple click on the image bellow for details Highland Farms Flyer May 11 to 17, 2017. Highland Farms Flyer Valid May 11 to 17, 2017. 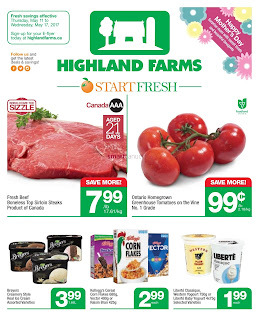 Subscribe this category for more of Highland Farms Flyer products and deals.